With our exclusive system, you’ll find the perfect way to meet other singles in a safe and convenient environment. While there is someone out there for everyone, we have some Quick Tips that will help your greeting stand out from the crowd. Take a minute to think about what you want to say and what kind of impression that you want to make. Write down a brief introduction that really captures your personality and practice reading it out loud before you call. Get everything out in the open at the very beginning and be honest. Share the best of you, but also the real you. Talk Cafe is a place where you can speak openly and honestly about your interests and what you’re looking for in a companion. Limit background noises from television, music and traffic during your recording. Remember to sit up straight and smile while you speak. It’s surprising just how much good posture and a smile will help you sound friendly and upbeat. 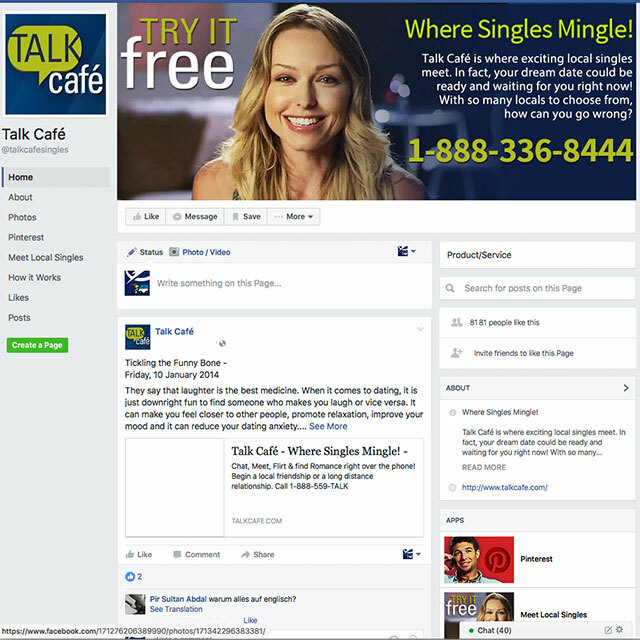 Meet a great variety of singles by calling Talk Cafe at different times on different days. If you don’t find someone after hours on a Friday night, call again on a Monday morning. Be sure to call whenever you have a few minutes to spare to make sure that you’re not missing out on any of the fun.